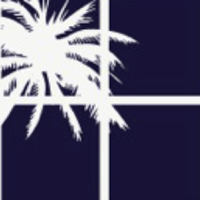 Mimi Vail has been specializing in luxury real estate representing properties and high profile individuals in the Palm Beach area for over 15 years. She is a market expert and provides her clients with all of the support services to assist for a smooth buying or selling experience. Mimi's success in real estate goes beyond strong skill sets of negotiating. She provides First Rate service for all her clients at all times! Mimi's varied background has contributed to her success. She has worked as a Top Sales Manager of the Carlisle Collection and headed several fund raising events in Palm Beach for Adopt A Family and other local charities in Palm Beach county. More recently, Mimi has developed four Palm Beach properties and sold each for the highest price per square foot once completed. Her experience in design adds to her aesthetic sense that can help clients visualize the possibilities of a home meeting their personal style and requirements. Mimi holds a BA and a Masters Degree from the George Washington University, Washington DC. She has lived in the Palm Beach area for over 25 years and is an active member of the Palm Beach Board of Realtors and Board Member for the Girl Scouts of South Florida.